Darmentraea became a prison, Galaseya a thriving Utopia; Diraetus finally found peace, and Heirsha provided healing to all. Amber and her friends had adjusted to their new roles in life when an unexpected surprise appeared on Heirsha--A secret truth. One that could shed light on the mysteries surrounding the immortal families. Why so much bitterness? What happened between Jermiar and Huntinylar? What secrets does Marsacor conceal behind his coarse exterior? Who is the mysterious family member that no one seems to want to talk about? And why were both families plagued by constant tragedy? One answer--Khyra Crawford. Two thousand years before Amber's story began, Khyra was a brilliant young environmental scientist who wanted her world to be clean from man's pollution. 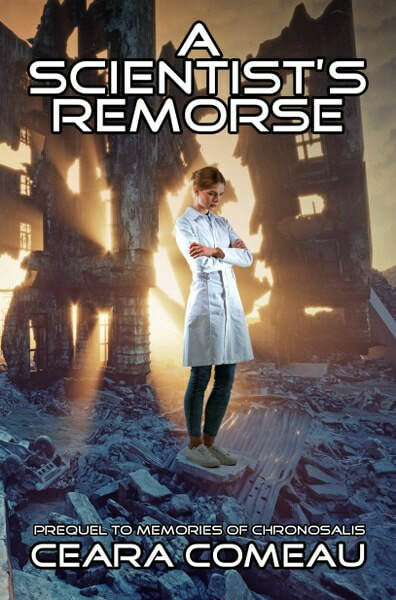 Her father, a world-renowned chemist, had an idea of his own and created a devastating chemical that nearly exterminated all of mankind. She fought hard to repair the damages her father created. Not to mention take back her life from the one that his transgressions against humanity made for her. But in doing so, she found herself dragged into a web of lies, danger, and otherworldly chaos, and a destiny that wasn't hers to alter. This is the REAL story, one that should have never been told. It’s one thing to read about heroes saving worlds in far oﬀ galaxies, but to become one is an entirely different story. Sixteen-year-old Amber Oak wanted nothing more than to stay in her own world of music and solitude. But the inhabitants of Galaseya, a Utopian planet rooted in the past, had other ideas in mind. According to them, only she wielded the power to stop the dark forces threatening their home. At ﬁrst, Amber sympathized with the planet, but saw no reason to involve herself in the aﬀairs of something outside her world. But the stakes have risen when she discovers that Galaseya is not only the world that has been invading her dreams, but also the place her estranged family originated from. With this new knowledge, questions began to surface and secrets of Amber’s life come to light causing her to second guess everything she knows. I've been writing stories since I can remember. Stories, I thought, were just for children my age and I did not think they would go far. At fifteen years old, I was proven wrong. My parents took a look at my stories and saw something in them that I could not see. They saw the potential of a good book, or two! With my Dad as the editor and my Mom doing the formatting, we self-published these books. I did not think anyone, other than my family, would want to read the ramblings of a young teenager. 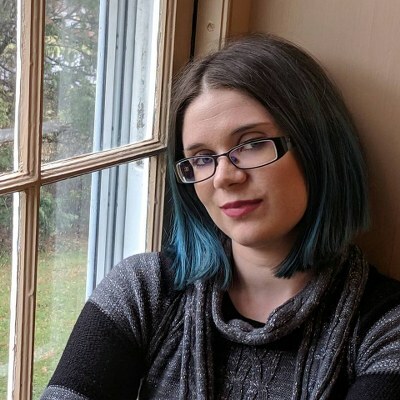 When we published "Amber Oak Mysteries Volume 1" and "Adventures of the Young and Curious," I was fifteen years old, then the unexpected happened. People would write to me and they told me how much they loved my books. During the time, when I was seventeen, I stopped writing. I lost faith in myself and my ability to write. But , my mom suggested that we publish my third book, for it had been sitting on the shelf for about two years. She thought it would be good to get it out there, before I started college. I did not see what harm it could do, so my third book, "Amber Oak Mysteries Volume 2" was published. In 2012 I published "Amber Oak and the Missing Links". I went on to publish "Amber Oak and the Master of Illusions". In 2015 I published something different call "The Lost Journal of Erika Traynor". These is currently available on lulu.com, amazon.com and barnesandnoble.com. Recently I realized I needed to go back and redo the original Amber Oak Mystery series. It had potential, but I knew I could do better. It will be different than the originals as it focuses more on science fiction and fantasy rather than mystery. 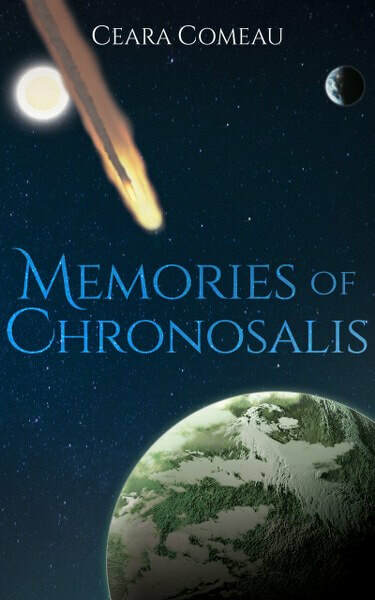 The title of the book is "Memories of Chronosalis".